As of March 14, we have received 50 applications for the event. There are applications from Norway, Brazil, Chile, France, the USA, Japan, and Mexico. Scientific disciplines: So far invitations are being considered for scientists of Astronomy, Biology, Physics, Mathematics, Chemistry, Medicine, Genetics, Paediatric Pathology and Nephrology, and Microbiology. We will continue to keep you informed of further developments with the invitations. 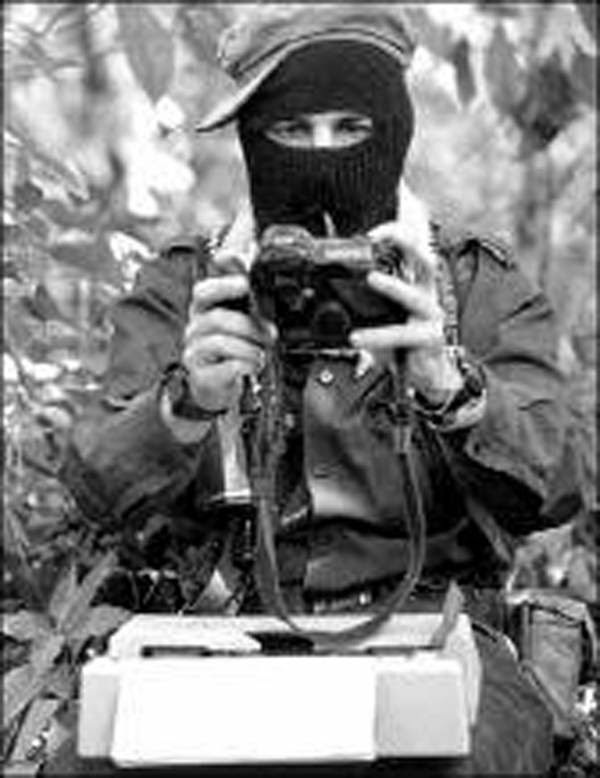 The scientists invited to the encounter “The Zapatistas and the ConSciences for Humanity” can offer a critical reflection on their scientific theory or practice, or an explanation of the general elements of their specialty given in an accessible manner (that is, an educational talk). The email address where you can register to attend the encounter “The Zapatistas and the ConSciences for Humanity” is: conCIENCIAS@ezln.org.mx. Date and location for the ConSciences Encounter: December 25, 2016 to January 4 2017, with an ‘intermission’ on December 31 and January 1. It will be held at CIDECI in San Cristóbal de las Casas, Chiapas, Mexico. Only the invited scientists with their exhibitions and the selected Zapatista youth with their questions will be given the floor at the festival. There is no cost for registration but the Zapatistas cannot pay for travel, lodging, or food. Boys and girls may attend as videntes [seers/viewers] and escuchas [ears/listeners], but they should be accompanied by a responsible adult. The production, consumption and sale of drugs and alcohol is strictly forbidden. March 8, 2016. Place: EZLN Headquarters. Document obtained from the diary of someone calling himself “supgaleano,” thanks to the Trojan malware called “finders keepers, losers weepers” version 6.9. Subcomandante Insurgente Moisés and the present writer were here discussing the upcoming CompArtefestival and how the Zapatista communities are organizing to participate. While we were talking a compañera insurgenta came in and said simply: “there is going to be a soccer game. We women were challenged to a game.” I knew the motivation behind this, because it was not the first time that it had happened. Let me tell you that in this barracks, the insurgent women [insurgentas] outnumbered the insurgent men [insurgentes] two to one. To explain this difference in numbers, there are two different stories: the official version is that it is because the majority of the insurgentes are doing highly specialized work which only men can carry out with panache and grace; the real version is that there are in fact more compañeras than compañeros. Publishing the real version is of course prohibited, so only the official version has been distributed to the Tercios Compas. Clouds began forming in the sky and a strong wind foreshadowed misfortune. After lunch (the menu was tamale shakes and coffee with chili pepper), an insurgenta came by to let us know that the game was about to start and asked if we were going. Subcomandante Insurgente Moisés couldn’t go because he had to review the registration list for the festival. I abstained, intuiting that the environment would not be a propitious one for gender inequity. So neither of us went. The horizon was already darkening when they returned. On earth and in the sky the storm is lady and mistress of everything. The insurgenta arrived to report in. I asked her how the game had gone and she responded, “we tied.” “How many to how many?” I asked. “I don’t remember” she said, “but we won a game and then we changed sides on the field and they won, so we tied: one each.” She said it with such self-confidence that she seemed like the president of the National Electoral Institute reporting the official results of any election. Something smelled fishy to me, and so I went to see the commanding officer and asked about the results: “We won 7 to 3” he responded tersely. “But the Health insurgenta said that you tied because they won one game and you all the other?” I asked. The official smiled and clarified: “no sup, we only played one game; what happened was that in the first half they were winning 3 to 2, and in the second half, after switching sides on the field, we made 5 goals. The result: insurgentes – 7, insurgentas – 3.” Subcomandante Insurgente Moisés, spokesperson of the eezeeelen, in the name of all of the Zapatista men, women, children and elders exclaimed: “We men won!” Another insurgenta who was walking by admonished “what is this about ‘we men won,’ ha! you two didn’t even go.” “It doesn’t matter,” said the official spokesperson of the eezeeelen, “we men won.” The storm appeared to diminish and the wind and water settled down. But the horizon was far from clear. We raise our cold cups of coffee and toast the new triumph of gender even in adverse conditions. In the mountains, the wind and rain had already drunk of the nocturnal force. It was not yet morning when they subsided, with even more force if that is possible. But (there’s always a “but”), the next day at breakfast one of the men, with ill intentions, asked how the soccer game had gone, “We tied,” an insurgenta rushed to say before the little machos managed to respond, and she turned to the other women around her: “Right compañeras?” “Yeessss!” they all shouted and, well, since they are the majority, well…anyway, the risks of democracy. That is how the insurgentas converted a sports defeat into a triumph and won…with a tie. Final score: insurgentes – 1, insurgentas – 2. Desperate, the insurgentes looked to the person who best encapsulates the highest values of machismo-zapatismo, which is to say, me. They asked me when “men’s day” was. 1.-Is the health insurgenta who subverted the semantics in FIFA’s rules a feminazi, a lesboterrorist, or someone who does away with the rules, destroying imposed [gender] roles and damaging masculine sensibility? 2.- Is the person who summarized with such grace what happened on this fateful March 8, 2016, in a Zapatista barracks: heteropatriarchal, Eurocentric, species-ist, ableist, classist and etceterist, one more victim of the system (well look at that, it sounds like the name of a music group), or does he not celebrate May 10 because he lacks the above listed attributes? 3.-As the women that we are, should we give a rematch to those damned men who, well, you know, you give them an inch and they want a mile? i March 8 is known around the world as International Women’s Day. ii The original is “mentadas que no sean de menta.” “Mentada” is like a telling-off or insult. Menta is mint. Literally this would be unminty insults.